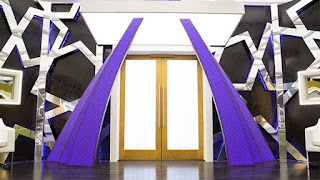 Sue's Reality Canada: Amazing Race Canada 4 Preview of Episode 2 "Deal Guys? Deal! Deal!" 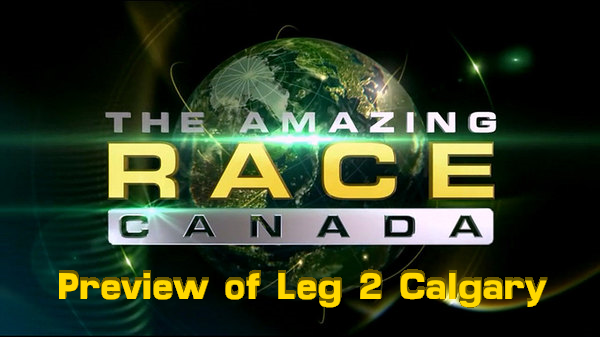 Amazing Race Canada 4 Preview of Episode 2 "Deal Guys? Deal! Deal!" Well, now. That's an interesting title, isn't it? Sounds like two or maybe even three teams have entered into some kind of agreement. I wonder what that's about? Are these teams going to work together on a task? Or is this a long-term deal? Are there some teams who aren't too happy about Jillian and Emmett winning the first leg? Or does this have something to do with the exes lying to Steph and Kristen? Emmett wouldn't lie to anyone, would he? I mean, if you can't trust a Milkman, who the hell can you trust? Yes, they've been in Calgary before - in seasons 1 and 2, but they have never had a complete leg there. The pit-start out of Jasper was a late-evening start. The location of the post-leg confessionals. That is all. This was the least-spoiled DOMESTIC leg, apart from the finale. But we can add a few things deduced from later sightings (Express Pass winner, the eliminated team) and CTV's previews. The nine remaining teams will have a late evening start out of Jasper. 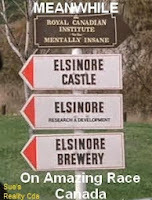 One of the sightings was of Emmett and Jillian stopping at a restaurant asking for directions. This sighting, along with the Calgary Tower sightings, were our first visual confirmation the Big Brother Canada duo were on this year's Race. Teams will travel to Calgary by bus(es) - which looks to be an equalizer. The Roadblock this week is rappelling down from the top of the Calgary Tower. The teammates we know who do this are: Emmett; Kristen; Frankie; Antoine and Ashley. There is an additional task - a Route Marker/Express Pass task, involving teams "catching a bus"...literally. 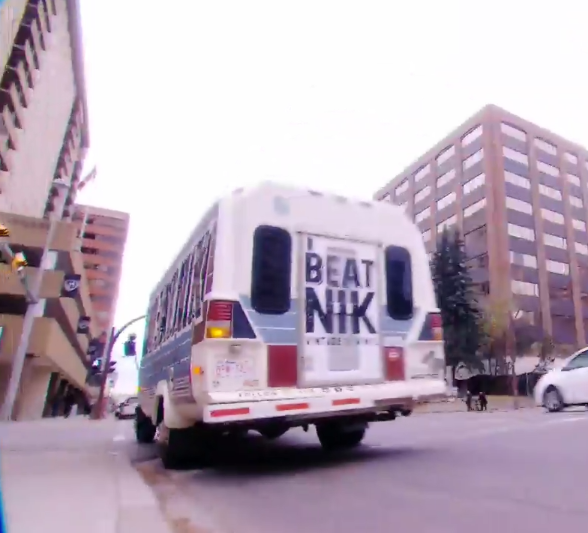 To get their next clue, teams must jump on board the Beatnik bus. It's a record store on wheels. Here, teams will be offered a chance to go for two Express Passes at Calgary Boys Vinyl. We know from Leg 4 Pitstop sightings that Steph and Kristen win them. This week's Detour is a choice between a wrecking ball virtual simulator and netting/transferring fish at the Bow Habitat Station/Sam Livingston Hatchery. CTV's preview shows Steph & Kristen and Joel & Ashley at the simulator task. The girls give up and switch to the fish task. Meanwhile, Joel and Ashley stay even though they can't get the hang of it either. The post-leg confessionals were filmed at Fort Calgary, which usually suggests the Pitstop locale. BUT, they have been known to hold confessionals closeby the pitstop (S3's confessionals at Toronto's Fort York come to mind), so I am not 100% on that. Especially since the Calgary Stampede grounds are practically right around the corner from Fort Calgary. Calgary Mayor Naheed Nenshi with Frankie and Amy. Look for an appearance by noted Mayor Naheed Nenshi, who seems to give teams a visual clue. And expect to see some conflict begin to raise its ugly head between the BBCANers and other teams. They were seen talking to Steph and Kristen at the Calgary Tower. Is this where Jillian and Emmett lie to them? Aww, come on, it CAN'T be a reality show without a bit of lying and conflict. Even in Canada. Right? I do not know who wins this leg. But if I had to speculate based on previews I would say it's Jillian and Emmett, again. According to the CTV previews and sneak peak, Steph and Kristen switch Detour tasks and take time going for the Express Passes. Or is CTV throwing a foiler in their preview, making us think the couple are in trouble? Enjoy the episode and watch for my recap and review. ***Update Post-Airing: No Stephane and Antoine were not eliminated, but in retrospect I am not surprised. They managed to evade on-lookers until the Calgary leg and were not seen from again. If they survive the next leg due to Anne and Tanya being pulled from the competition, they will be eliminated in Leg 4. They were NOT seen among the 7 who returned to Canada. That number is firm. Preview of Episode 4 "Shine Your Light"